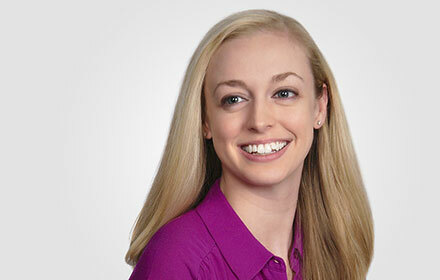 Emily K. O’Brian is an Associate in the Greenville, South Carolina, office of Jackson Lewis P.C. Ms. O’Brian assists employers in various labor and employment matters, including preventative advice and counsel, responses to administrative charges, and advocacy in private lawsuits. She has represented clients in cases involving claims such as employment discrimination, harassment, retaliation, wrongful termination, breach of contract or non-compete agreements, and improper wage payment. Ms. O’Brian has trial experience and has litigated in multiple forums, including arbitration, state, and federal court. Her goal is to guide clients through the litigation process, while making all efforts to find practical solutions to meet their business needs. While attending law school, Ms. O’Brian was a member of the Georgia Law Review. She also was selected for induction into the Order of the Barristers for her participation in both Moot Court and Mock Trial, including championships at the National Moot Court Competition and South Texas Mock Trial Competition. Prior to joining Jackson Lewis, Ms. O’Brian was an associate at a nationwide labor and employment law firm.